AELP offers fast, precise mobile weighing, along with many other features suited for industrial environments. Ideal for measuring oversized items, AELP pallet beams are outfitted with rugged built-in wheels and handles, making them easy to move. 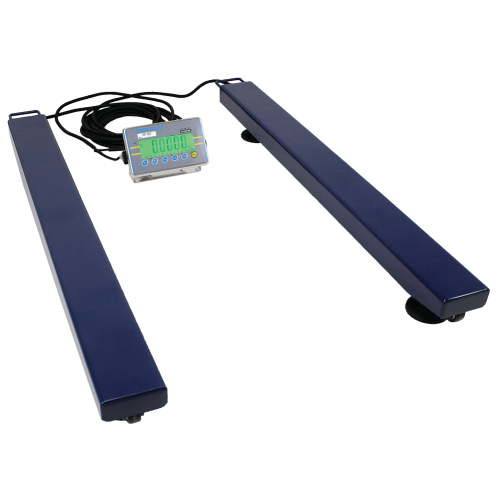 Enclosed channels with high-quality load cells provide accurate, repeatable measurements and are built to withstand the rigours of constant warehouse use. Use the AELP with the GK or AE402 indicator for the desired range of features. AELP beams are equipped with approximately five meters of shielded cable.